Our mission is to invent tools that support the development of human capital - and we decided to start with early childhood education. Oya was founded by Dr Lamont Tang, a father of a 2 year old and a Neuroscientist who did his undergrad at Stanford University and his Ph.D. in Neuroscience at Brandeis University with former president of Society of Neuroscience, Professor Marder. While Lamont’s formal training was studying the biophysics of neural circuits and how they can both be stable (e.g during early development) and yet plastic (the ability to learn), it was not until Lamont and his wife had their first son that they were inspired to learn about evidence-based ways to help nurture their son’s development. When Lamont learned through his wife, Economics Professor Jane Zhang, about the stark effects of socio-economic status on the learning outcomes of children--which can be detected by the age of 18 months--Lamont was further inspired to self-fund and write a grant to pilot a novel, cost-effective, and scaleable technology to both monitor and improve a child’s learning environment. After positive results from this initial pilot study, Oya Labs was created to help harness predictive technologies to build tools to nurture not only Lamont’s own son, as well as something meaningful and impactful for families around the world. Oya Labs is now a US based company on a mission to make early childhood intervention more accessible and effective for parents, educators and researchers all around the world. Wordle is Oya Labs first product, a scaleable technology that has been shown to both monitor and improve a child’s learning outcomes. 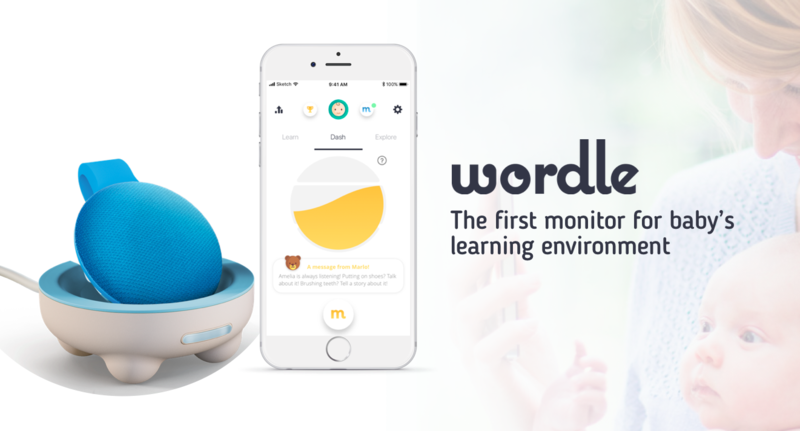 Our first product is a software and hardware platform called Wordle that monitors the learning environment of a child and gives parents personalised and evidence-based tips to maximise their child's potential. Through the monitoring platform, parents receive a Learn-O-Meter score, which is our proprietary index developed based on 20 years of research, which tracks key indicators of brain (i.e. number of words, number of conversations) and emotional development (i.e. ratio of positive to negative words). Based on the Learn-O-Meter and in-app assessments of child development, the platform can create personalised interventions to teach and motivate parents to provide the most stimulating learning experience for their children. We believe there is a gap between what we know from research about "What makes babies happier and smarter" and what reaches the parental ears. Many of them don’t realise that the early years are the most critical window of development across the human life course and in many ways will define their child's lifetime potential. We want to solve this problem by creating a solution that enables the parents to access objective data about their child as well as research-backed content. Stanford BS Ph.D. Neuroscience, Lecturer at PolyU School of Design, Father of a 2 year old, and startup mentor and investor.